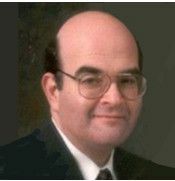 Aurora Safety was founded by Dr. Michael J. Fagel. He has over 30 years of broad based experience in a variety of fields relating to emergency management and business continuity with allied staff to assist in projects. Safety, Risk, Fire, EMS are all represented disciplines. Aurora Safety Services has the ability to do a comprehensive site safety, security and threat analysis of your facility. The Aurora Safety team has supported national and international exercises, table tops, full scale functional or hybrids. We can craft a scenario for your city, County, State, and Nation. We have the ability to bring in our exercise design team that has worked numerous incidents in real life situations, presidentially declared disasters, International missions, Agricultural incidents, food borne terrorism as well a natural and man-made disasters. Our team has taught for organizations that include: The National Domestic Preparedness Consortium, Louisiana State University, TEEX, Yale, Johns Hopkins, Harvard, Yale, University of Chicago, ASIS, NSC, CDC, US Army. We are able to assist you in developing and implementing a unique plan thorough our process of interfacing with your key stakeholders and contractors to help fully implement the PROCESS of Emergency Planning in your facility. Our experts have been involved in all phases of: EOC Operations, Facility Design, Facility Review, Training, Exercises – internationally and locally. We have the capability to serve a facility of 10, a town of 2,000, or a city, state or nation. Our team has the years of experience to serve your needs, be they local, state, Federal, Corporate, School or University. Michael J. Fagel, PhD., CEM and Aurora Safety are able to assist your organization or facility in threat risk assessments, vulnerability and training. Our team includes former Secret Service, FBI and Military analysts that have worked in a broad range of venues and operations. We can enhance your security quotient by a thoughtful analysis to assist you. All risk and all hazard planning have grown to encompass terrorism threats and response. Our mission is to help your organization/ agency/ facility is able to respond to key area to: Protect, Defend, Deter, Recover. This all risk-all hazard approach is also served by Planning, Training, Exercises to enhance your Emergency Operations Plan. Aurora Safety has extensive experience in litigation guidance drawing from decades of experience in all phases of safety and emergency response and planning. We can provide guidance to professionals on a variety of topics. Effective evaluations regarding the many facets of the case will be discussed to provide the best level of professional service on a case by case basis. Dr. Michael J. Fagel provides specialized assistance in OSHA compliance assistance and training in disaster management, emergency response as well as occupational safety and health. Aurora Safety was founded by Michael J. Fagel who has over 30 years of broad based experience in a variety of fields relating to emergency management and business continuity and has allied staff to assist in a variety of projects. Safety, Risk, Fire, EMS are all represented disciplines. Mike Fagel has spent nearly four decades in emergency response. He has been in all phases of public safety, law enforcement, emergency management, fire rescue, and emergency medical services. He has served the US Government at FEMA, the Department of Justice, Defense Department, Department of Energy and Department of Homeland Security. Also, he has been working world-wide on Emergency Management and safety missions. He has served as President of Region V, IAEM, as well as Vice-Chair of the Certified Emergency Managers Commission of IAEM. He has been a course developer for DHS as well as an instructor at several universities in their master’s programs. He also was EMS coordinator for the Fire rescue division in North Aurora, as well as serving as an officer in the local fire service. Mike Fagel currently teaches industrial safety and emergency medical services at several college locations, as well as being a guest lecturer at various professional trade conferences throughout the country. He was instrumental in helping the first red meat companies in the US earn the OSHA VPP (Voluntary Protection Program) recognition in 1992. Aurora Safety’s' founder has provided expert witness services to cases in North America. Dr. Michael J. Fagel has served various Federal Agencies providing Occupational Safety Services at disaster sites. He also was EMS coordinator for the fire rescue division in North Aurora, as well as serving as an officer in the local fire service. He currently teaches industrial safety and emergency medical services at several college locations, as well as being a guest lecturer at various professional trade conferences throughout the country. Mr. Fagel has worked for numerous Fortune 500 Companies providing services after having served 30 years as a member of the North Aurora Illinois Fire Rescue Department, serving as an officer and now as division manager of the Emergency Management Division. He served 10 years with the Kane County Illinois Sheriff's Police. Served as a site evaluator for OSHA's Voluntary Protection Program as a Special Government Employee (SGE). Served FEMA (Federal Emergency Management Agency) as a disaster safety officer. Corporate Safety officer, instrumental in earning the distinction of having the first red meat plant in OSHA's VPP Program in 1989. Dr. Fagel has authored over 300 articles on safety and disaster planning. He has been a contributing editor to many publications. Authored chapters in Food Safety Law and Accident Prevention Manual Also, he has presented lectures across the country and SE Asia on safety related matters. -Contributor to National Domestic Preparedness Office publication "The Beacon"
Various attorneys and corporations supplied on request.